Next Retreat: October 20-26, 2019. Registration open soon. Please join Pamela Sampel (facilitator, writer, coach, and spiritual director) for the 4th writing retreat, Sanctuary & Sustenance, at Our Lady of the Prairie Retreat Center in Wheatland, Iowa. Registration is limited to 8 participants. to give yourself a flavor of this sacred experience. Surrounded by autumn’s prairie and woods, 8 participants will be supported, nurtured, and championed to live and breathe the writer’s life cocooned within a beautiful farmhouse sanctuary. Within this sacred setting your writer’s spirit will be tended and nourished…physically, emotionally, and spiritually. This retreat is an opportunity for the woman writer to receive support and encouragement to fully engage, enrich, and live her writing life. To begin each day with your choice of specific support for your creative process: meditation, writing prompts, labyrinth walking, prayer, silence, and/or art-making. To listen, learn, and use the latest neuroscience around creativity and writing practices. To laugh, cry, play, craft, learn, dream, write, and write some more in the company of women dedicated to writing and living the writer’s life. To walk the surrounding tall grass landscape of the rolling eastern Iowa prairie during the warm days and cool nights of autumn as the changing colors approach their brilliance above the Wapsipinicon River Valley. Be inspired by the wonder of the star-studded sky blanketing the heavens at night. Be surrounded by hawks, eagles, owls, bluebirds, cardinals, deer and other creatures of the prairie. To walk the stone labyrinth located steps outside the farmhouse door. To be nourished by organic and locally sourced food. Enjoy meals and snacks lovingly prepared by the caring staff at Our Lady of the Prairie. To experience a private space to live and write, or write in a comfortably large living room in community with other writers. To receive optional personal creative consultation, career guidance, and/or spiritual direction offered by Pamela. Please note: The nature and central intention of this retreat is nurturance and sustenance for women who write. Learning will come through personal experience resulting from your voluntary choices with regard to offered activities, tools, prompts, offerings and resources. There will be no formalized teaching or critiquing of your work. If desired, you may request a one to one personal guidance session for your creative project or work with Pamela. The retreat focus will be on creative time, camaraderie with fellow writers–as little or as much as you desire–and nourishment however you define it for yourself. In the evenings, we will gather voluntarily to read our work aloud in a thoughtful, supportive, healthy, and nourishing environment with few distractions. The main emphasis for this seven day experience is the practice of self-care, nurturance, and sanctuary for your writer’s spirit. You may feel called to attend and to rest and walk the rolling prairie lands and for time to simply “be” to serve your writer’s spirit—and that’s your choice. Or you may prefer to retreat for solitude, writing in your room to emerge only for meals. You will experience the freedom to personally discern your particular needs each day. Other than our first circle gathering on Sunday evening, no attendance is required at any activity. Women with the desire to nourish and develop their writing voices and to be replenished, nurtured, and inspired are invited for this special experience. 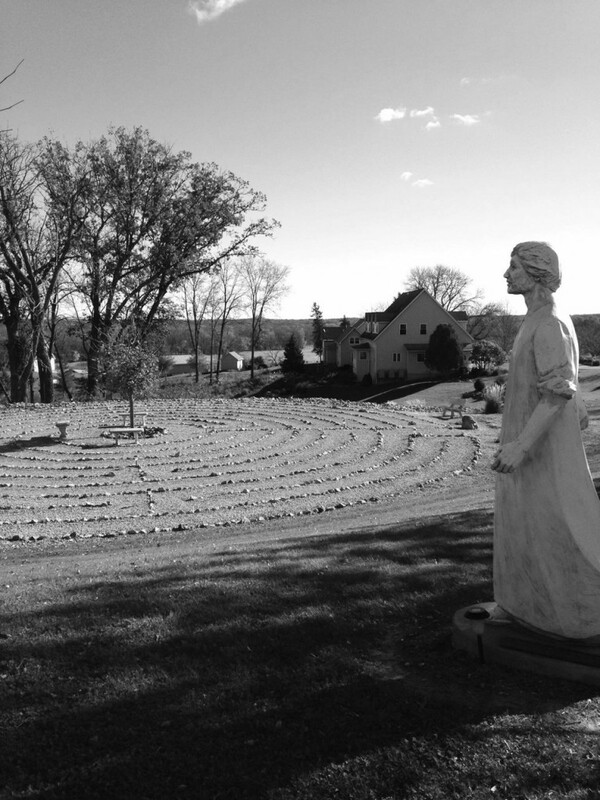 Our Lady of the Prairie Retreat Center is an extraordinary haven and natural sanctuary on 200 acres of sacred prairie in eastern Iowa, near Wheatland. Established in 2003 by the Sisters of Humility, those who journey there are invariably caught breathless at the quiet and stunning beauty of a slice of heaven. If you’ve never experienced Iowa, especially Iowa in autumn, come prepared to experience your heart and mind steeped in quiet beauty, stunning open spaces, and inspiration for your writing spirit. Accommodations: Each participant will have her own private room in a spacious contemporary prairie farmhouse that includes a twin or double bed, a writing desk and chair, a comfy reading chair, and a sink/mirror/vanity and windows that open to the outside. A connecting bathroom/shower is shared with one other participant. There are large and small spaces scattered throughout the farmhouse for additional writing spaces. There’s room for you to bring a yoga mat for practice, if you desire. Facebook Page: A private Facebook group exists exclusively for our community and currently includes the women who experienced this magical retreat in its first three years. This group provides a virtual space for sharing introductions, travel plans and information, etc. 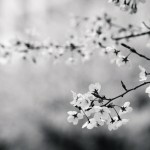 Following the retreat, the group continues as an online gathering place that ebbs and flows naturally where fellow writers exchange resources, project updates, and offer topics of interest for discussion to inspire our writers’ hearts and minds. Once you have registered and paid in full for the retreat, you will be added to the private Facebook group. Travel plans: Please visualize your travel to OLP/Eastern Iowa as a pilgrimage and an essential part of your retreat experience. It is a journey that can be incredibly rewarding, especially as you come up the retreat center’s long driveway when you arrive. The Center is located in rural eastern Iowa. The easiest and closest airports are the Quad Cities International Airport in Moline, Illinois (38 miles from the retreat center–airport code MLI) or Chicago Midway Airport (2.5 hours to the east of the retreat center–airport code MDW.) You may choose to rent a car or arrange for a car shuttle service. Note: because this is a rural community, renting a car for the week is generally the least expensive–especially if you share the expense/journey with a fellow retreatant. The shuttles, while they do exist, are expensive. However, if you want to begin your retreat with a touch of luxury and relaxation, there is nothing quite like having a car service whisk you from the Quad Cities airport along the rolling country roads to the retreat. You may also choose to make the pilgrimage by driving to Our Lady of the Prairie. This is an incredible way to begin and end your week if you have the time. Traveling to, and arriving at, Our Lady of the Prairie is part of the magical, mystical journey that begins our week together. Note: a reminder that each participant is on her own to make arrangements to the retreat and the retreat center. If you need help, or have questions, however, do not hesitate to ask. Your writing–whatever you would like to work with during the retreat. Your own collage materials, should you choose to collage. Please bring images, copies of photos, etc. Limited supplies of paper and glue sticks are provided. Comfortable, casual clothing. Layers are advised to ensure your comfort for September Iowa prairie weather. Usually the days are warm (65-85 degrees F) and nights cool for sleeping (Lower 50’s to low 60’s F.) Pamela is a bit of a weather nerd and will update all participants closer to the retreat as to what weather will be likely for the week. Cost and Payment: Total cost for the retreat, materials, six nights’ lodging, all meals (beginning with dinner on Sunday evening September 9 and ending with breakfast on Saturday morning September 15) and snacks, is $1,400. A non-refundable deposit of $500.00 is required to hold your place. The final payment of $900 is due on or before August 15, 2018. Please remember: this fee does not include airfare or ground transportation. Cancellation policy: In the event you need to cancel for any reason, all monies paid to date of cancellation will be refunded minus the $500 non-refundable deposit. No refunds after August 15, 2018. It is advised you purchase trip insurance for reimbursement of your costs in case of illness or other emergency which prevents you from attending. 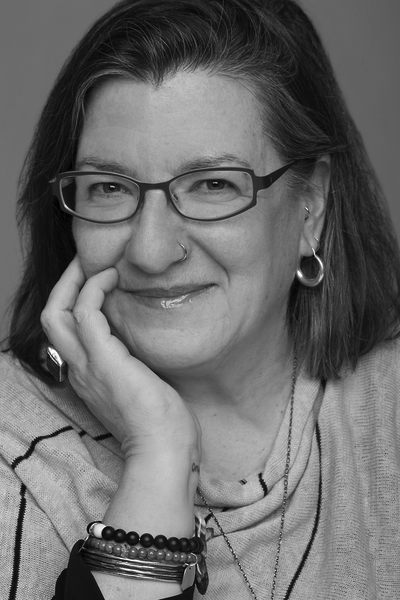 Pamela is a highly skilled retreat facilitator, writer, leadership coach, and spiritual director with an irreverent sense of humor who loves to laugh out loud. With 25+ years of experience in collaborative leadership, professional writing, emotional intelligence coaching, and retreat facilitation, clients and friends describe Pamela as a clear and direct communicator with a proven ability to inspire, motivate, write, create, and lead. Pamela holds Bachelor’s and Master’s degrees in business and management and certificates in Spiritual Direction and Coaching. She is a Sister of Belle Coeur and an Oblate of St. Benedict at St. Placid Priory in Lacey, Washington. She has studied writing and literature with Lidia Yuknavitch, Gary Copeland Lilley, Evelyn C. White, and Rebecca Brown. Pamela is working on a series of personal essays and hybrid poems at her desk in Port Townsend, on the edge of the Salish Sea. E-mail Pamela at pamela@pamelasampel.com.